I’ll admit that I try to stay on top of the latest technology trends, am always looking for the newest gadgets, and always keep my iPhone apps up to date. So it should be no surprise that I am fascinated and excited by the newest AppExchange apps that hit the market. 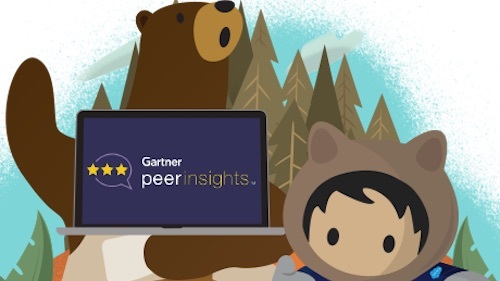 Salesforce customers tell me the different ways they try to stay abreast of the latest apps that help their sales, service, marketing, and back office teams do better work more efficiently. With that in mind, below is a list of 11 innovative and apps new to you to check out today. What it is: clearMDM is the pragmatic solution to common master data management challenges such as duplicated or fragmented customer data. Get a single customer view to improve operational efficiency alongside 360-degree insight critical to accurate segmentation and personalised customer relationships. clearMDM provides automated data-stewarding functions that can be implemented quickly and supported by Salesforce administrators. What it is: Bigtincan Hub delivers smarter, next generation sales enablement tools that measurably help enterprise sales and service organizations boost productivity and success. Bigtincan Hub helps sales teams sell better by preparing for meetings more effectively, improving client and prospect engagement, enhancing collaboration with peers, and improving win rates all within Salesforce. The AI-powered sales enablement platform transforms the way sales and service organizations access, share, and collaborate on sales content, helping to deliver the right content to sell effectively in any location, on any device. What it is: Inquisium’s survey platform helps create feedback programs that provide reliable insights for smarter decision making. 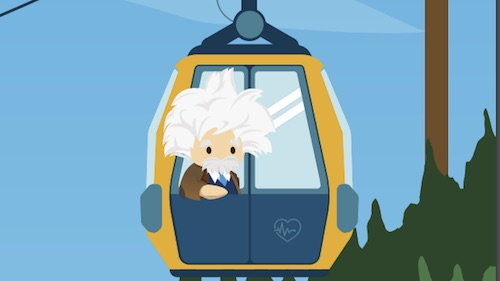 Connect and view survey responses directly within Salesforce and measure how you market, sell, and service more effectively. Inquisium helps measure how effectively your business addresses prospects, customers, and employees, optimize business performance with a sophisticated feedback program, and enrich your Salesforce data with feedback and service ratings. What it is: Enhance sales intelligence, power pipelines, and drive revenue with premium and tailored content directly within Salesforce. Add Factiva company news and data to Salesforce account pages to understand the issues impacting customers and prospects. Factiva highlights selling opportunities and risk factors associated with your accounts at a glance. Stay up to date on the trends and topics affecting companies of interest with customized alerts. What it is: GeoFluent is a real-time translation solution that allows Live Agent from Service Cloud users to easily add multilingual capabilities to their existing application, helps brands communicate with any customer using existing agents and eliminating language barriers. GeoFluent ensures the highest level of translation quality, helping to accelerate issue resolution, increase customer satisfaction, and enable continuous global cover with lower overhead costs. What It is: Mogli SMS is a native text messaging application that allows organizations to scale communications and simplify staff and stakeholder lifecycles through the power of SMS. The Mogli architecture allows users to easily organize messages and survey responses into powerful, data-driven reports and dashboards. Mogli SMS supports automation of two-way individual and bulk text messaging, simple and branching surveys, and query functionality to allow anyone to interact directly with Mogli SMS for self-service information, registration, education, and support. What it is: A tool to easily restore your backups with one button. Undo Button helps protect your data with automated backups in real time for accounts, cases, contacts, events, leads, opportunities, and tasks. When you save a record, Undo Button performs a real-time, encrypted backup of your data. If you’ve ever accidentally saved a record, only to realize you overwrote or deleted a field value, just click the Undo button and your change will instantly revert. What is is: Salespulse provides real-time feedback with pulse surveys from prospects during the sales process to increase sales performance and perform sales coaching more effectively. Get instant feedback during the sales process and coach your team in real-time — and close more deals. Salespulse helps answer why top sellers consistently deliver results while low performers struggle. No integration work is needed with this native app, and everything can be configured in 60 minutes, directly in your Salesfore org. What it is: Balance your workload with drag and drop scheduling, and make decisions in context with your Google calendars alongside your Salesforce objects. Reassign resources with while seeing your calendars side-by-side, whether users, departments, rooms, or pieces of equipment. Make plans with a clear view of what’s coming, and stop deadlines from sneaking up on you by seeing events in contexts so you can make better decisions. What it is: SurveyMonkey’s new Salesforce integration makes it easy to automate customer feedback collection and follow-up. Send surveys directly from Salesforce, sync responses to any object, and analyze responses in real time alongside existing Salesforce metrics. With SurveyMonkey, improve customer support by sending NPS and CSAT survey to customers, increase revenue and referrals by using feedback to learn how to improve, and identify leads faster by capturing crucial information to better profile your leads and identify propensity to buy. What it is: Swiftype Enterprise Search is a new way for employees to seamlessly access the data they need, from any device, across the many different applications their jobs require, including Salesforce. Built for any Salesforce Cloud, Swiftype indexes content across cloud data sources and delivers results in a single search experience. Swiftype’s dashboard allows users to monitor and customize their search experience without technical expertise, and predictive technologies deliver search results based on a user’s role, permissions, search behaviors and preferred data sources. What it is: Talkdesk adds comprehensive contact center functionality to Salesforce. Leverage voice and SMS channels, native reporting, and automations to work smarter and communicate more effectively from within Salesforce. Talkdesk for Salesforce empowers you to have more personalized, real-time conversations with prospects and customers by giving service agents and sales reps custom Talkdesk recipes to initiate Salesforce events throughout the customer service process. Automations take care of call logging, data entry, and more. 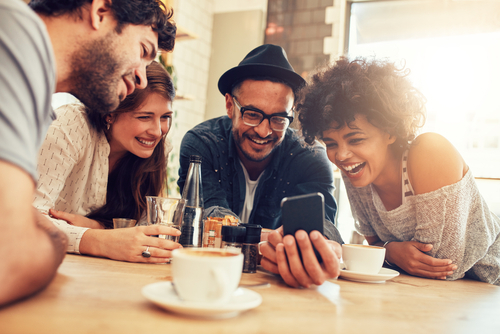 While these apps are just a sampling of new apps to AppExchange, and new apps come to AppExchange daily, these apps are exciting additions to the Salesforce ecosystem. Check out many of these apps in this AppExchange collection.